Grow your business with flexible, shared office coworking space in Hamilton for entrepreneurs and small businesses. Coworking is a global movement to create innovative, collaborative and community driven workspaces that move beyond traditional work environments. This vastly growing concept is seen as an innovative and dynamic way to work, providing the most accessible, flexible and professional environment possible at an affordable monthly rate. CoMotion brings small businesses, startup teams, like-minded entrepreneurs and professionals of all kinds together to operate their businesses under one roof, and share common amenities (such as conference rooms, kitchen, etc) to keep overhead costs down, as well as have a supportive community to network with and be inspired by. CoMotion on King is a 10,000 square foot, energetic coworking space in a prime downtown location, close to transport and restaurants. We offer shared workspaces, dedicated desks, and private offices to entrepreneurs and small businesses. Our diverse network of members come from a variety of industries with different professions and skill sets. Our facility also has a large event space that can accommodate over 100 people for presentations or social events. We also have two amazing community managers on staff to help facilitate member connections as well as internal member-only events. While comfortable and convenient, a home office keeps you isolated which can lead to feeling unmotivated and unfocused. A commercial office can be risky for an entrepreneur just starting out. It's a lot of upfront effort that can be focused on growing your business instead! CoMotion provides a new way of working that combines the infrastructure of a traditional office with the flexibility and modern vibe of a coffee shop. When thinking about places to work, most think about the traditional company office setting, while some prefer working from their own home or at their local coffee shop. For small business owners, working from home has many benefits, but also has several drawbacks. It can be isolating, filled with distractions leading to low productivity, and may not be the most professional environment in which to meet people or have client meetings. Similarly, a coffee shop can be noisy, distracting, void of sufficient electrical outlets, or have slow Wi-Fi, and staying for longer than a few hours can be seen as loitering. On the other hand, renting an office can be expensive, risky and overwhelming for entrepreneurs who want to focus on building their business rather than worrying about fluctuating utility bills, office maintenance, and a leasing commitment that is usually five or more years. What if you were to take the best of all of these places and blend them together? This is what coworking aims to achieve. Coworking a style of workspace where businesses and entrepreneurs operate their businesses under one roof, and share common amenities (such as conference rooms, kitchen, etc) to keep overhead costs down, as well as have a supportive community to network with and be inspired by. Who is best suited for coworking? Small businesses, freelancers, remote workers, and startups looking to transition out of their isolated work environments such as home offices and cafes and into a creative workspace that will push their productivity to the next level. A receptionist to greet guests, mail and printing services, Wi-Fi, meeting rooms equipped with the latest technology, kitchenette, patio, and lounge areas, are just some of the amenities to look forward to at CoMotion coworking spaces. Having a community of like-minded individuals working in the same space helps solve the problem of isolation that many freelancers and entrepreneurs experience while working at home. Working from home can often make it difficult to separate personal from business work. Being in a coworking space will ensure you’re able to do your job in a distraction-free zone, and develop a more efficient work schedule and routine that fits your lifestyle. Increase your productivity and motivation to succeed by surrounding yourself with hardworking professionals. Members get access to book professional meeting rooms to meet clients, which adds credibility to your meetings vs. meeting in a coffee shop or at your home. We also have a receptionist to greet your guests, and coffee or drinks to offer your clients during a consultation or meeting. Working from home can be isolating. Having a community of like-minded individuals working in the same space helps to solve that problem and lets you escape the distractions of home. It also makes the work atmosphere more enjoyable, and space you can look forward to coming to each day. Having an all-inclusive monthly fee helps you predict your monthly business expenses and budget accordingly. Our memberships include heat/AC, hydro, infrastructure, maintenance, cleaning, and other costs that would typically fluctuate if you were on your own in a commercial space. Your coworking space at CoMotion can grow as your business grows. Upgrade your workspace from a shared desk, to a desk that is dedicated to you, to a small or large office as needed. The community of businesses within CoMotion can prove to be a valuable source of new business, as well as a great opportunity to work collaboratively on projects. Having other like-minded, ambitious, forward-thinking entrepreneurs close by allows you to draw on the professional expertise of other members on issues relating to your business in an informal environment. We offer and host free events and workshops for members that often include guest speakers from the community or educational presentations from members within the coworking space. Amounts paid for coworking memberships are tax deductible. Working at CoMotion has given me a unique opportunity to connect with like minded entrepreneurs and develop great business relationships. Since moving from my home office, I feel more connected to the entrepreneur community! Try coworking FREE for 3 days! A Hamilton native, Larissa thrives at supporting entrepreneurs. 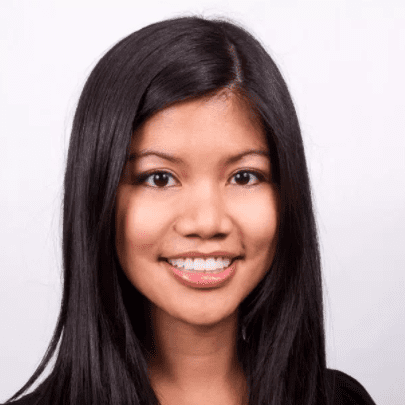 She is CoMotion’s full-time Operations Manager as well as the Community Manager at CoMotion on King. She supports and facilitates the growth of the CoMotion community so that members and their businesses form beneficial relationships with one another. Larissa handles the day-to-day operations, fields requests, conducts tours and manages events. Larissa brings a lot of creative energy and knowledge to the CoMotion community, with a background in production management and freelancing. She understands the ups and downs of startup businesses and was also a co-organizer of Startup Weekend Hamilton and Hacking Health. Abi is closely linked to the entrepreneur community in Hamilton. She served as chair woman for Hamilton HIVE from 2013-2016, attracting and retaining young professionals to the City while organizing events and providing resources to local entrepreneurs. She also served on the Board of Directors for the Young Professionals Network of Ontario. She is a Marketing and Communications Specialist, Events and Project Coordinator, Event Host and Master of Ceremonies, Journalist, Traveller and Adventurer. CoMotion has a community of over 100 members. You'll immediately be part of an amazing network of small businesses of all shapes and sizes, from a variety of industries and backgrounds. Kiss Flickering, Fluorescent Lights Goodbye. Research studies show that working without natural light can be detrimental to your productivity, health and overall well being. At CoMotion, we’ve invested in installing the latest sun tunnel technology which provides natural sunlight throughout the space during the day to compliment the light coming in from our large windows. All of our other lighting is flicker-free, energy-efficient LED. CoMotion on King is truly located in the heart of Hamilton’s downtown core at 115 King St. East on the east side of Gore Park. Steps from the vibrant, cultural James North that hosts Hamilton’s famous monthly art crawl. A short walk to award winning restaurants and nightly live music on King William street and Augusta street. Located in the International Village business district, the only thing better than working at CoMotion on King is leaving work to enjoy it’s thrilling locale. We're proud to champion local entrepreneurship.